anyone know if they will fit? Reason I'm getting these was trying to dial in my pilot screw ans was losing my mind the D-shape bit. pulled the carbs out went to slot the D like I've seen a lot on here. Dropped one of the screws and the needle broke off it... awesome. So I figured if im getting new screws if I can get these or something similar it will make my life a whole lot easier. So turns out it wasn't me being clumsy and dropping the screw to break the pin, its a whole lot more annoying gunna need some help with this one. So this is what the port where the scrw goes should look like. 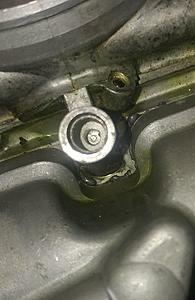 And heres the one the broken needle came from, yeop the needle is still in there... Any one got any ideas or methods on how to get this out? Tried a needle with some super glue already... My other though was to shoot it out with an air compressor from the other side. Not sure if thats even possible couldn't find anywhere to shoot the air into. Air compressor is not a bad idea, I'd try it directly on it throough the same side. The air may try and travel it's way out the other side causing the screw to wiggle out. I'd also try taping it out with a continuous tape if the air thing doesn't work. Good luck. Tried both flash, thanks. 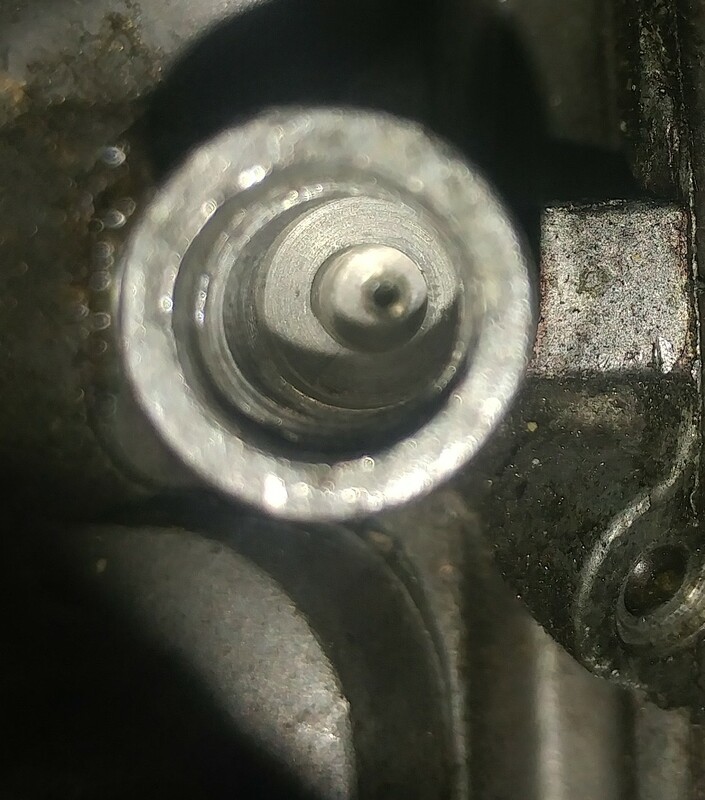 guy on reddit says he's a "carb specialist" and say's hes seen this before and it almost always means the carb is dead as the needle usually damages the seat somehow once its seized. Posted the assembly on classifieds if anyone's interested. I don't think asking $75 is too unfair as its still the full assembly and only the front carb is dead and parts can all parts can still be pulled off it. Last edited by SaucyDinosaur; 04-25-2018 at 09:57 PM.